Professional Clean Resume Template 2 - Resumes Mag. 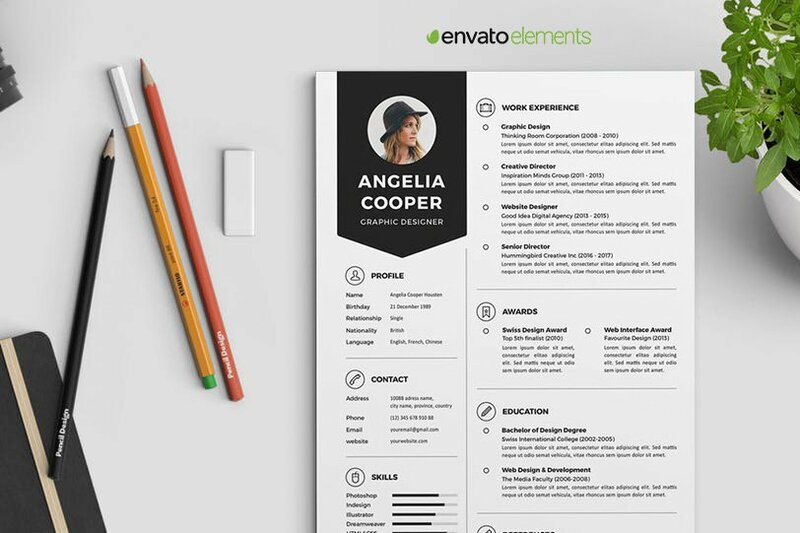 A Professional Clean Resume Template picked from the work of LeafLove from Envato Elements. It has an attractive design every job seeker needs, and a Cover Letter Template is also included in the download package. It came in several file types…(PSD, AI, EPS, and DOCX), all files are editable with ease. Editable in (Microsoft Word, Adobe Illustrator, Adobe Photoshop). All fonts being used are free (download link in documentation file). All files (objects, colors, & text) are editable. Envato Elements is based on subscriptions, when you subscribe you’ll have access to 680,000+ digital downloads with a commercial license. You pay $34 to subscribe only for one month, $16.5 per month if you subscribed for one year, for more info check pricing. All Pictures shown are for illustration purpose only, and not included in the package. Actual Product may vary due to product enhancement. This page contains affiliate links, you can find more templates on Resumes Mag. Shop.